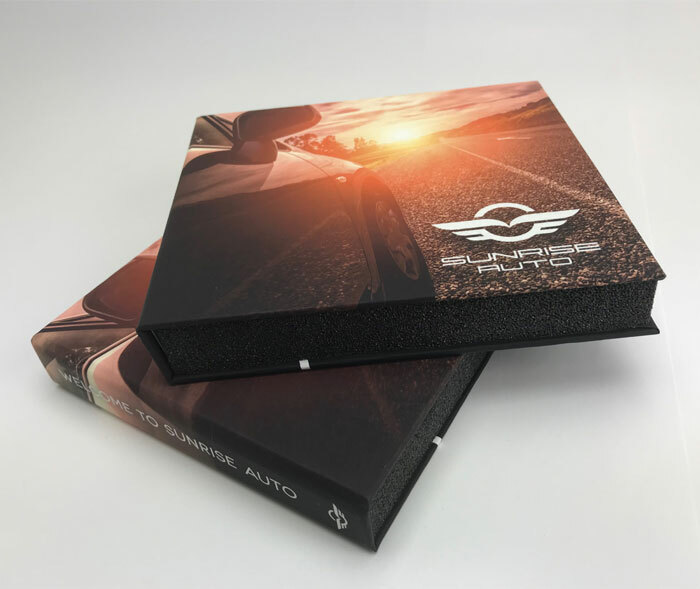 The FobPad is Sunrise Packaging's newest packaging innovation specifically designed for the automotive market. The FobPad is a custom packaging storage kit for not only your spare key fob, but it can also be used to hold your final paperwork on a USB drive. It's a great marketing kit that can be fully customized with your branding and information. 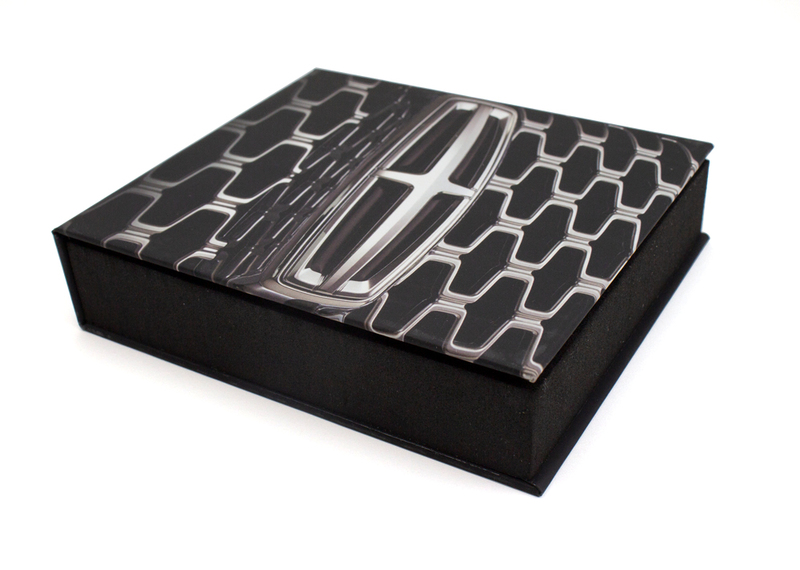 The custom foam insert can contain a spot for your business card, USB drive, and spare key fob. No more digging through drawers, searching for your spare key fob. The size of the FobPad is 5.5” wide, 5” high, and 1” thick. High end packaging might make you think of an expensive gift. Watches, jewelry, these things place a premium on crafting luxury boxes. But when it comes to one of the most largest expenditures a person makes–regardless of income–that same sense of presentation is usually a little lacking. However, by packaging key fobs, car dealerships can turn what would otherwise be just a transaction into a gift. We’ve all seen the commercials. Someone is lead out of a house, usually blindfolded by someone obviously close to them. As their eyes open, the camera pans wider and–ta-da! We see a car, with a giant red bow stretched across the length, and an excited recipient of a car. As someone who’s not quite in the tax bracket where gifting cars is a thing, I personally can’t speak to the accuracy of the scenario. However, as someone who does a lot of gifting, it’s much easier to be able to package up a FobPad than it would be find a bow that big. The FobPad is a take on our classic FlashPad. It features a flip cover with a foam insert and turned edge finishing. But that’s just the beginning. What this custom packaging solution really does is creates resonance with your customers. Buying a car isn’t a fun process for most people. It’s a large investment in something that depreciates in value by the day. And incurs large costs for maintenance, gas, and other needs over its lifetime. But that’s not what a dealership wants to sell, is it? It’s the feeling described in the commercial above. It’s a sense of adventure for the open road. Or conveying safety and security for a family. A haven during the commute to and from work, where the driver can be comfortable and listen to their music/audiobooks/etc in peace. 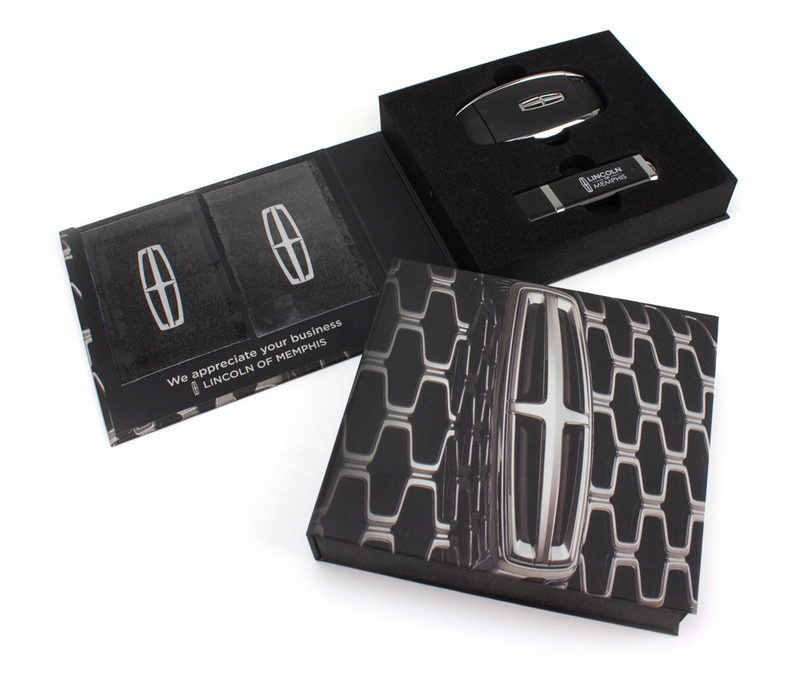 Our take on packaging key fobs focuses on how the dealership can use this as a marketing piece and a gift for customers. The custom inserts hold the extra key fob in place, along with a business card underneath. The design of the pad itself can include elements of your dealer branding as well as unique messaging. Add social channels for users to tag you in their first photos of their new vehicle. Best of all? These pieces of luxury packaging are gifts in and of themselves. Not to mention that these are much easier to wrap than finding a giant bow for a car. Contact our sales team today 800.634.8160 to start your new project!